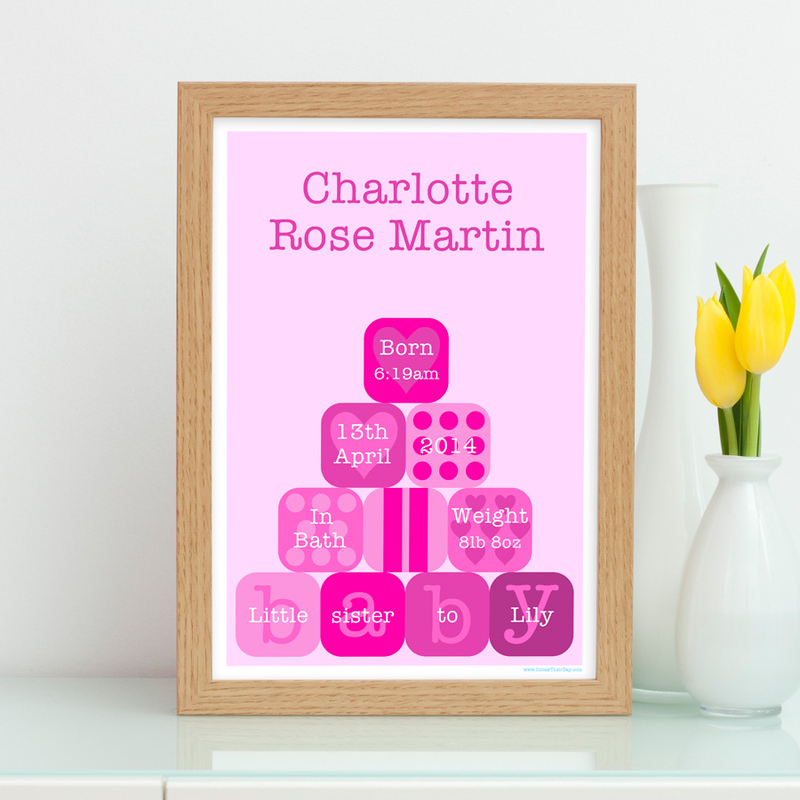 Celebrate the safe arrival of a gorgeous baby girl with this magnificent personalised birth print. A perfect gift or a beautiful addition to the nursery of the newborn. The design shows a pile of pink patterned baby blocks on a pale pink background, the colours inspired by all things pretty and pink. Be the first to review “Pink Baby Blocks – Personalised A4 / A3 Girl Birth Print” Click here to cancel reply.